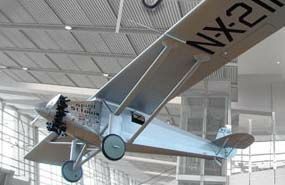 A large scale model of the famous Lindbergh Spirit of St Louis. Our Belair Parts Set includes all the laser required parts to complete, including ribs, formers, bulkheads, etc. Start buidling straightaway with the tiresome task of cutting and preparing parts. We also supply the custom accessories required to finish your own Spirit. Specs: 138 inch span and 86 inches long. Weighs around 34 lbs and requires 62cc petrol engines.